Our crafts and activities are carefully planned to coordinate with the topic of focus for the week. Each activity is tailored to ensure that we engage each sense and cater to everyones unique learning styles. Some examples of the types of crafts we do here at Our Saviour’s Luther Preschool are: ocean in a bag, creating a pretty smelling flower with perfume, building a gingerbread house, and making jellyfish. All of our crafts are targeted to engage and reinforce the current weeks learning topic. Learning doesn’t have to be all work and no play! We work hard to make sure we sprinkle in as much fun as possible here at Our Saviour’s Lutheran Preschool. Some of the more silly things your child will take part in are: Silly sock and Crazy Hair Day, painting with whipped cream, Pajama and Movie Day, and the ever popular Water Day. 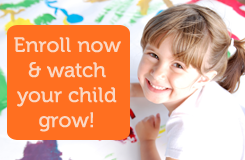 The list of activities is really quite endless but, you can be sure your child will never have a dull moment. Who doesn’t look forward to a field trip every now and then? We aim to have field trips for every major unit we are covering in class. Field trips provide real world experiences to show children that the things we are learning have practical applications. Below is a sample of some of the field trips your child will take part in while at Our Saviour’s Lutheran Preschool. 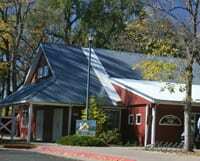 The Farm at Lee Martinez Park provides an exceptional hands-on learning experience and is always a favorite trip! Along with touring the farm to see all the different animals and learn about farming, we also take a hay ride. 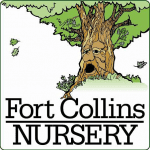 We take a trip to the Fort Collins Nursery to learn about various trees and plants. The trip typically includes a craft project which, in the past, has been wonderful smelling Christmas wreaths.